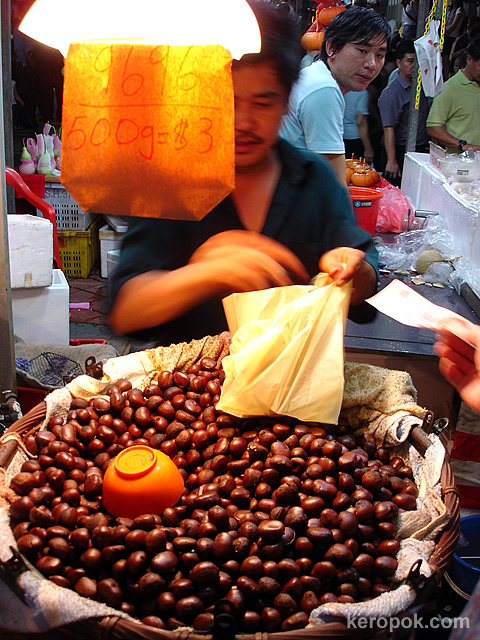 'Boring' Singapore City Photo: Freshly Roasted Chestnuts! Chestnuts! Chestnuts! 500grams for $3. This vendor is serving his customers a pack of chestnuts. Look how quick he is filling up the bag. haha.. 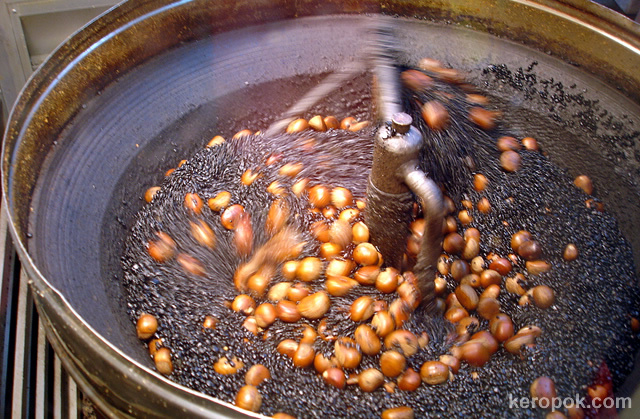 These are the roasting machines used nowdays, gone are the days when the vendor will be using his hands to stir them. It's all machines nowdays. The latest post at Hyde DP is Autumn Chestnuts and I've included links to some other chestnut postings including this one. What?!! They are selling burnt bread! The Blood Suckers! 3 tubes of my blood! Tossing up food, high, higher in the air! Singapore Flyer - It's not a full circle yet. Loud hailer shouting: Lai ah Lai ah..
lim chee guan bbq meat - the prices are rising!!! wah seh, instant wall paper!